Red Geographics recently produced a series of 7 maps of Central American countries (Costa Rica, Dominican Republic, El Salvador, Honduras, Nicaragua and Panama) for DARA, an independent, international, non-profit organisation, which works to improve the quality and impact of development and humanitarian interventions. 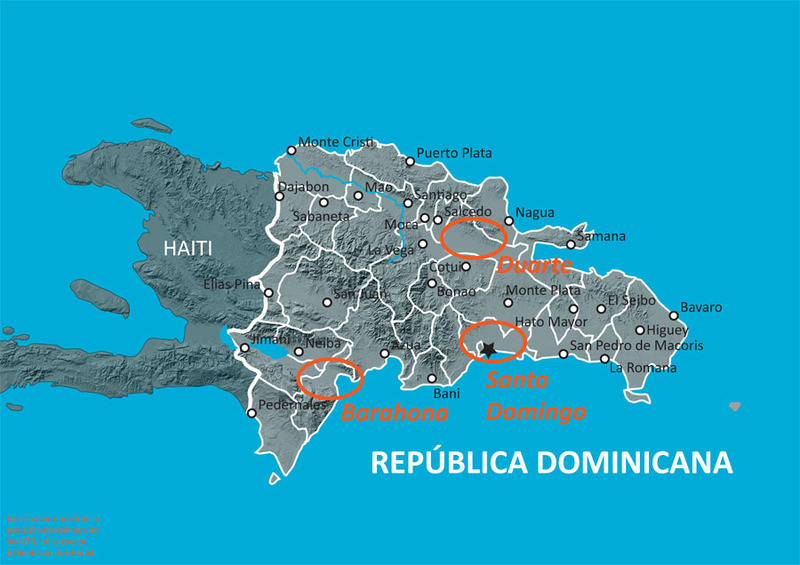 This series of maps, of which a detail of the Dominican Republic is shown here, is used to illustrate the regions in those countries where DARA is active. Colors were chosen to complement the orange taken from DARA’s corporate image. 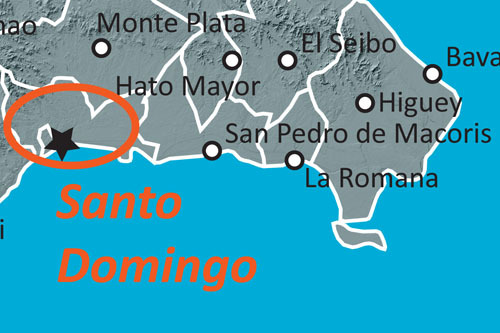 Muted greys with a shaded relief background make a simple map base upon which the project areas are highlighted.